Whether you need school scrapbook titles for starting that first day of class or for celebrating a graduation – we’ve got you covered from preschool to college. 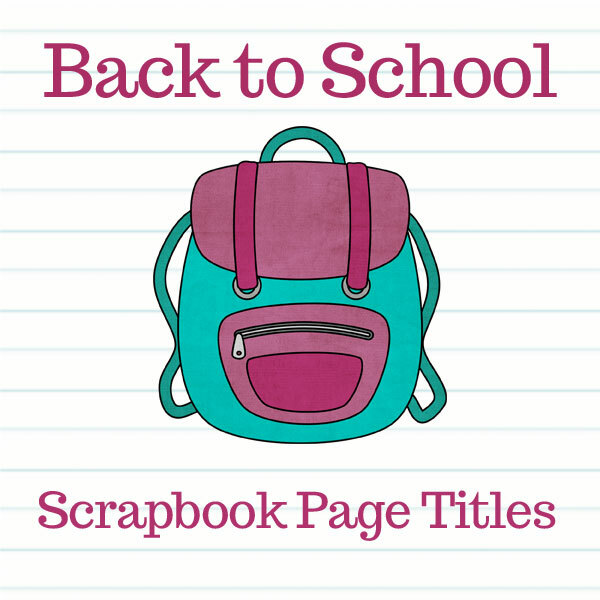 This list of Back to School scrapbook page titles you can use on your scrapbooking pages and layouts. This list also serves as great inspiration for things to scrapbook about for your Back to School pages! Do you have any ideas for school scrapbook page titles we may have missed? We’d love to hear them in the comments section below!